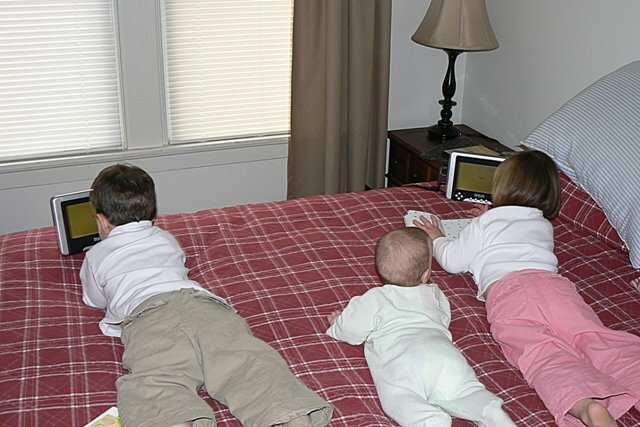 That’s what Little calls getting to lay on mommy’s “big bed” and watch a video on the portable DVD player. That’s what mommy did when she HAD to get a couple things done upstairs. No matter what your thoughts are on children watching videos, it’s a cute photo, eh? I’m all for TV when you need it 🙂 Very cute picture. Adorable. We’re in search of one of these “special videos” for our clan!